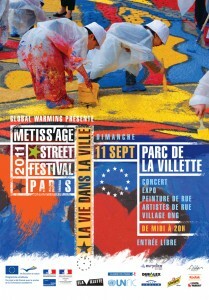 The Parisian edition of the Metiss’age Street Art festival is taking place today at Parc de la Villette. The event features music, performers, stalls and part one of a giant street painting, being painted by children and members of the public. Part two of the Metiss’age events takes place in London on 17 September at Battersea Park during the day and Village Underground in Shoreditch during the night. 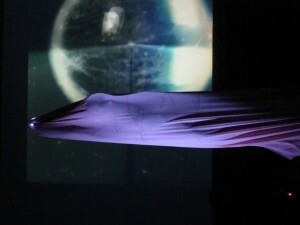 The event is being supported with funding from the Cultural Programme of the European Union. Part of the programme is concerned with urban eco diversity and we are partnering with Trees For Cities, the London based charity that raises money to plant trees in inner cities, and their Tree-athalon event in Battersea Park, introduced by Gaby Roslin.